We’re on the downhill slope of TATRATEA week, campers! We’re starting to get into the badass area of the TATRATEA line. Man up. It’s time to become bohemian. 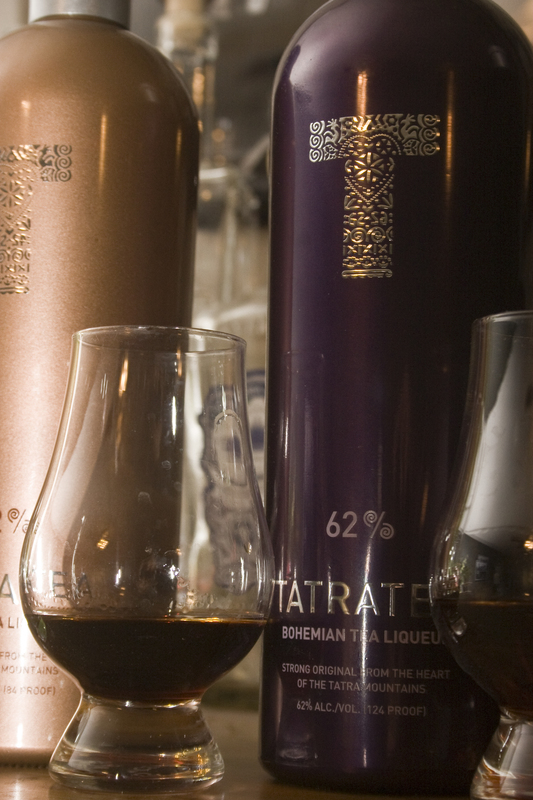 The TATRATEA 62% Bohemian Tea Liqueur takes the berry route and starts to take its intensity a bit more seriously. The berry scent is definitely present, almost to its detriment. It has almost grape-like scent with strong blueberry and raspberry. Almost no tea scent. A pleasant berry flavor that finishes on a strong black tea flavor. The flavor hints at an almost medicinal nature to the liqueur. It has a pleasant berry taste that lingers, however, and finishes strong. If you like berry, this is a step in the right direction. Can be overpoweringly berry-esque for those who aren’t big fans. The peppery flavor of the tea back stops it from being overly sweet. With the cooling effect of the ice the berry becomes much more pronounced and you lose some of that spiciness. We struggled with an ideal cocktail for the Bohemian, as berry can be a difficult flavor to mix with. Well, a difficult flavor to mix with WELL. Hubris, thy name is Cocktails, 365. 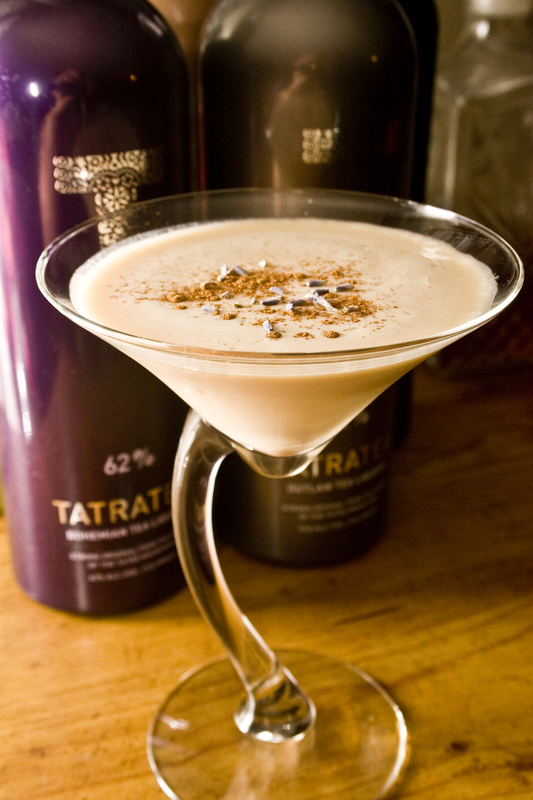 Combine the TATRATEA, Phillips Union and cream in a cocktail shaker filled with crushed ice. Shake well until ice cold and foamy – about 30 seconds or until the shaker is too cold to hold. Strain into a chilled martini glass then garnish with two dashes of ground cinnamon and several lavender seeds. Ever had a lavender creme brûlée with berries on top? That’s almost dead to rights what you’re going to get here!